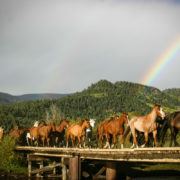 What is a Dude Ranch and Why It’s a Great Choice For Your Next Vacation! 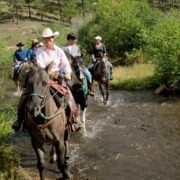 Time spent on a Dude Ranch is a great way to get away from it all, enjoy plenty of time outdoors, and meet wonderful new people often from many other parts of the world. With the abundance of beautiful scenery, delicious food and the most incredible sleep you’ll ever have in the peace and quiet of the countryside, it’s simply the perfect way to unwind. https://www.bestduderanches.com/wp-content/uploads/2018/05/12.jpg 768 1024 Tracy https://www.bestduderanches.com/wp-content/uploads/2016/03/2016-Logo.png Tracy2018-05-02 13:16:092018-05-02 13:16:09What is a Dude Ranch and Why It's a Great Choice For Your Next Vacation!